We all know the places. A certain strip mall, office complex, or obscure corner where it seems no business can thrive. These places serve as a revolving door for shops, restaurants, or offices until finally everyone learns the place is cursed and it gets abandoned for good. The moral of the story is that location matters. The best businesses seek the hot spots that draw in customers. This same thing is true for online businesses – and more than most people realize. People prefer to hire local business with locations convenient to them. That means even if you’d like to target a regional or national audience, you want to make sure you’re hitting the bulls eye, which is the clients in your immediate area. You may have a plan to hit regional or national targets, but you have to aware of the challenges involved with marketing in these larger geographic areas, particularly with organic search. 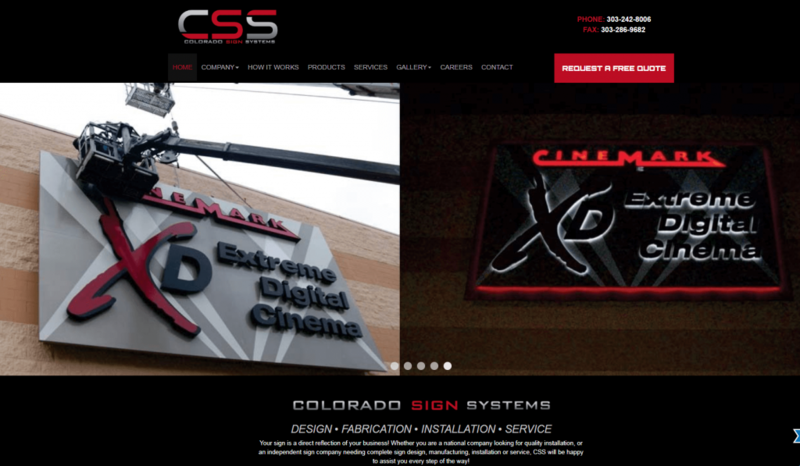 For example, we consulted with a Chicago-based sign company that wanted to market nationally. In that effort, they decided to forgo optimizing for local, Chicago area organic traffic (they didn’t optimize for their location or specify that they worked out of Chicago). In their case, the result was no leads from organic traffic; they didn’t rank nationally for any high value keywords, nor did they hit the bulls eye by ranking in the Chicago area. 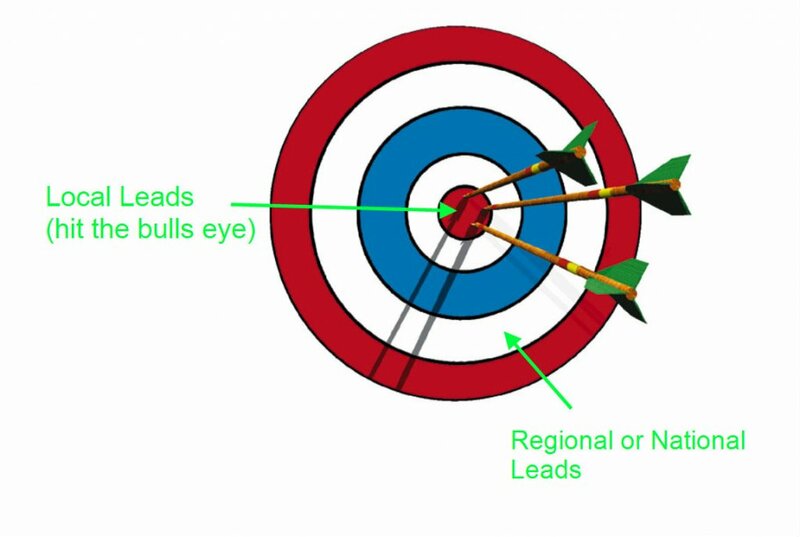 The problem, beyond the organic ranking problems, is that the bulls eye leads tend to be the most valuable. Even in the age of the internet, the majority of people hire services like signage, contractor work, or heath services locally. It’s just easier to deal with someone local to you, and it supports the local economy. 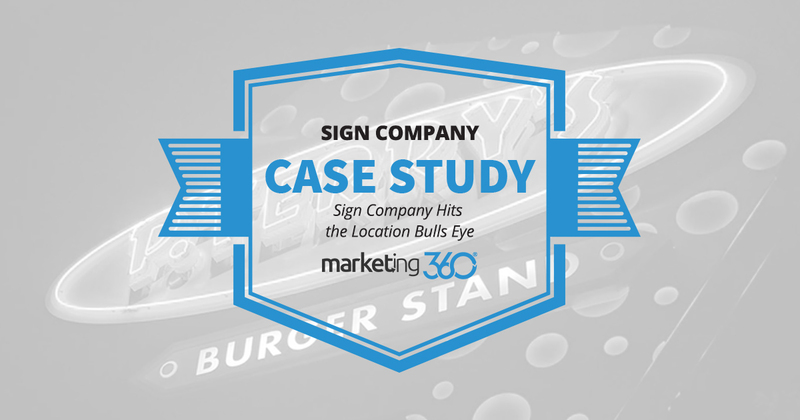 A Colorado-based sign company that works with Marketing 360® hits the bulls eye, which results in strong lead generation. This business starts with a particularly useful tactic for local ranking: they use their location in their name. 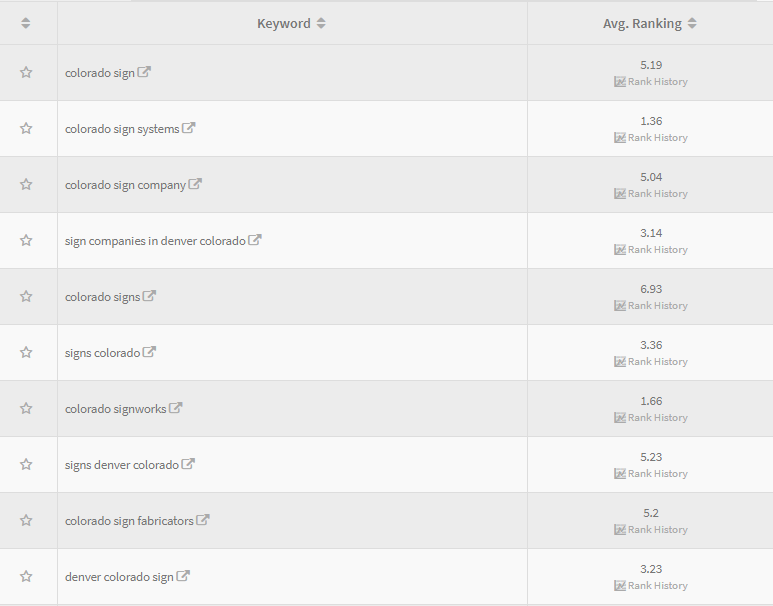 This business does some work outside Colorado, but to generate those leads they use TPA paid search. The majority of their revenue comes from local clients. Imagine a perfect lead – who is only a mile away from your location. How much does it hurt to know this lead can’t find you online? Miss that target, and you’re likely to lose the game.